Expires in 1mo . Last validated 2wk ago . Used 16 times. Adri I am reactivating this deal. 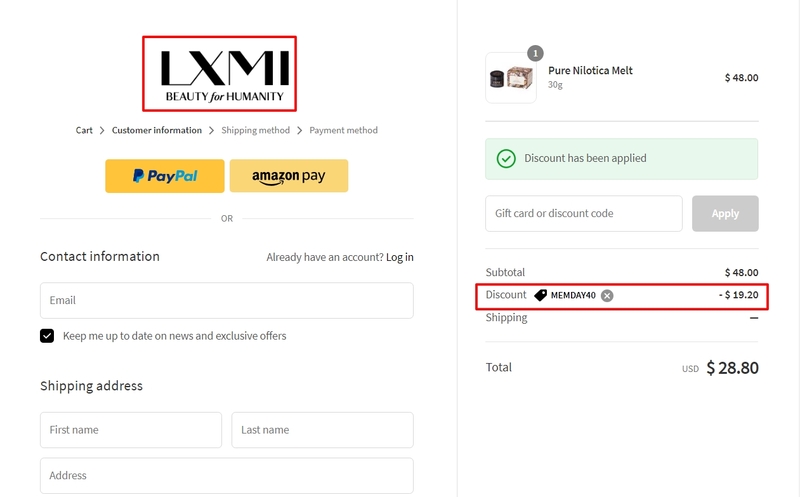 Just copy and paste the promotion code at checkout to claim your discount 40% off on orders over $50 at lxmi. 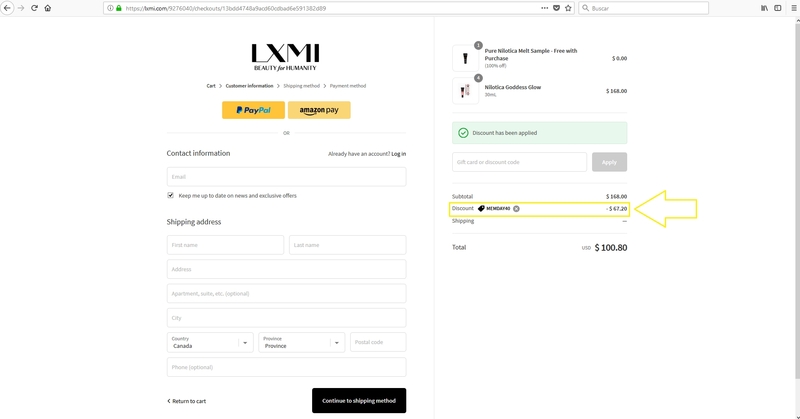 Hannah Shepard benedeti I'm validating this promotion code, it is easy to use, simply apply the code during the payment process page to Get 40% Off on Orders Over $50 at LXMI . wishton eliezer suarez alvarez I am validating that this deal works as described. 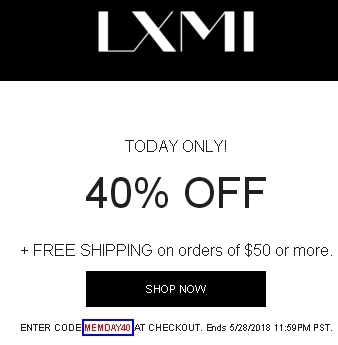 Simply enter the promo code at the shopping cart and Save today only 40% off + free shipping on orders of $50 or more at LXMI.